After Gulliver is shipwrecked, he travels to extraordinary countries and experiences fantastical adventures. Swift’s work is full of sharp wit, comedy and wonderful fantasy, and his storytelling talent ensured his work became a classic of children’s literature. An ensemble cast of five brought this classic to life, playing multiple roles and enlivening their characters with costume, physical theatre, inventive design, live music and puppetry. They invited their audience to imagine the giants of Brobdingnag and the tiny Lilliputians, talking horses and scenes of shipwreck. 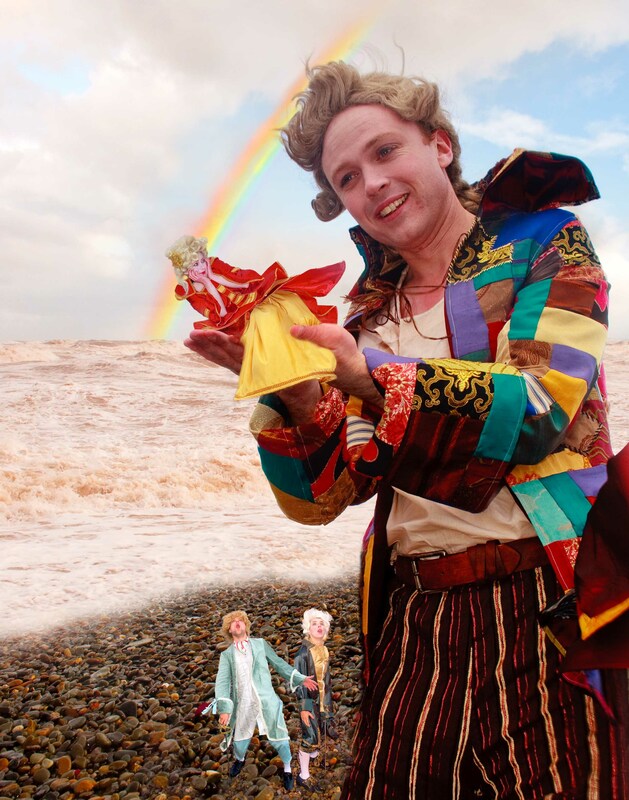 Wonderland’s Gulliver’s Travels is a triumph of the theatrical imagination, engaging and inspiring children and adults alike. (23rd and 24th March 2011). The show was adapted and directed by Wonderland’s Artistic Director Alice Coghlan, in association with Mermaid Arts Centre. For more details on the show, its cast, production team and originating text view the Gulliver’s Travels Programme.